The Brent premium to WTI has traded as wide as $23/Bbl this year but was down to 2 cnts/Bbl on Friday July 19, 2013. At one point during trading nearby WTI prices rose above Brent – the first time that’s happened in three years. Yesterday (July 22, 2013) WTI August expired at 106.91 - $1.14 lower than Brent September. Today we look at why the spread has narrowed so rapidly and whether it will stay that way. RBN Energy has written frequently on the Brent/WTI spread but in case you are new to our discourse, the following paragraphs will update you on the story so far. Start reading below the first chart if you are already fluent in matters spread. Three years ago in June 2010, prices for the international benchmark Brent crude and the US domestic benchmark West Texas Intermediate (WTI) traded within $1/Bbl of each other. Then in August 2010, WTI began to trade at a discount to Brent that widened out as far as $28/Bbl in November 2011. 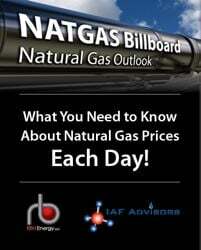 As noted above, the spread averaged $18/Bbl in 2012 but dropped to just $0.02/Bbl on Friday. The WTI discount to Brent widened in August 2010 because of a build up of crude inventory at the Midwest Cushing, OK trading hub. Growing crude production in North Dakota and Western Canada overwhelmed Midwest refinery needs and got caught in Cushing because of inadequate pipeline transport capacity to Gulf Coast refineries. 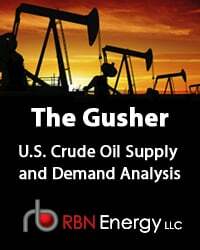 There has been some relief to the Cushing stockpile – noticeably after the reversed Seaway pipeline began to flow crude from Cushing to Houston in June 2012 at an initial 150 Mb/d and was expanded in January 2013 to carry as much as 400 Mb/d. And then in April 2013 the Magellan Longhorn pipeline (also a reversal) began to flow 75 Mb/d from the Permian Basin in West Texas to Houston that would otherwise have ended up in Cushing. 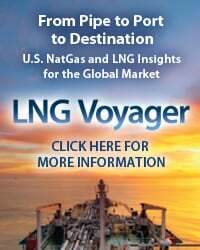 During the past twelve months there has also been a boom in moving crude by rail – particularly from North Dakota to the Gulf, East and West Coasts. This year, as more capacity came online to transport crude past the Cushing logjam to coastal markets by rail and pipeline, the WTI discount to Brent has narrowed dramatically. The chart below shows the spread between the two crudes since the start of 2013. 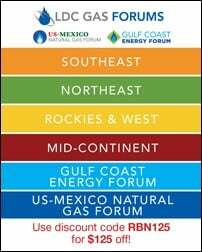 After reaching a high point in early February of $23/Bbl, the WTI discount narrowed to $10/Bbl in April 2013 in response to new capacity opening up from the West Texas Permian Basin on the Longhorn pipeline that redirected crude otherwise headed for Cushing, towards the Gulf Coast. From April through June, the spread traded in a range of $8 - $10/Bbl. Since the end of June both WTI and Brent prices have risen above $105/Bbl but WTI has had greater momentum and finally caught up with Brent last Friday – only to retreat again yesterday to settle $1.14/Bbl lower than Brent. It has only been a couple of weeks since we last posted a blog on the Brent WTI spread (see Reunited) and some of the factors that we saw pushing WTI prices higher at that time continue to apply today. 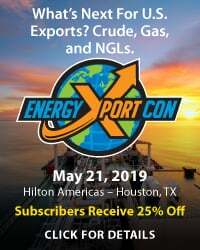 The opening up of more pipeline capacity from Cushing to the Gulf Coast and the increase in domestic crude reaching the Gulf Coast by rail have changed the market perception that WTI prices should be discounted to Brent because too much crude is stuck in Cushing. An unexpected shortage of light sweet crude in the Midwest also boosted domestic crude prices. WTI prices were pushed to the brink of parity with Brent last week by bullish inventory data from the Energy Information Administration (EIA). 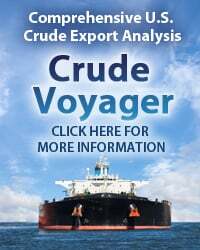 US crude oil inventories fell 7 MM Bbl during the reporting week ended July 12, 2013 – largely because refineries processed more crude than at any time since 2007 – using 92.8 percent of available refinery capacity. The largest decline in crude inventories (6.1 MMBbl) occurred in the Gulf Coast region where refinery runs were at over 95 percent of capacity. Even though crude inventory levels in the US are close to 5 year highs, the boom in refinery activity is healthy evidence of US refining strength and reflects buoyant prices and export markets for refined products. Within the EIA inventory data another key number influencing the Brent/WTI spread is the level of Cushing crude stocks. Those stocks rose close to 52 MM Bbl at the start of this year as a result of the oversupply situation at Cushing. Last week was the third week in a row that Cushing inventories fell – they have declined by 3.6 MMBbl since June 28, 2013 to just over 46 MM Bbl (see chart below). The gathering pace of stock drawdown from Cushing has encouraged markets to bet on a recovery in WTI prices – resulting in a narrowing of the discount to Brent. Market watchers clearly believe the positive inventory data means that the root causes behind the lengthy WTI discount to Brent are being resolved. Market money has also been attracted to US crude futures because the economy here is doing better than those in Europe. As a result, futures investors appear to have caught WTI “fever”. The CME NYMEX reported on Friday that long futures positions held by speculators reached their highest level since April 2011 – suggesting traders believe WTI prices will continue to rally. But will WTI prices stay at or near to parity with Brent? Market fundamentals and the futures forward curve suggest otherwise to us. Lets start with fundamentals. Two weeks ago when the Brent premium over WTI fell under $5/Bbl we said that the supply demand balance at the Gulf Coast required the spread to widen again and we have not changed our opinion since. The Gulf Coast crude stock drawdown of 6 MMBbl during the week ending July 12, 2013 shows there is not enough incremental crude available locally to meet the high level of refinery demand and in fact crude imports to the Gulf Coast increased by 132 Mb/d during the same week. If Gulf Coast refiners keep processing crude at or near full capacity they will need to attract additional supplies. These will either come from more imports or from inland production. In either case coastal prices will increase relative to WTI at Cushing. Brent prices should trade higher with coastal prices as long as US refiners continue to import crude priced internationally. 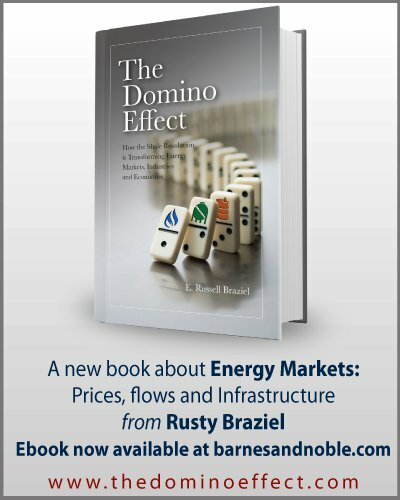 At the moment more inland crude from the Bakken, the Permian and Eagle Ford basins is making its way to the Gulf Coast - but there are still capacity constraints on pipelines and waterborne transport that restrict how much of that crude gets to market (see Rock the Basin – Can Houston Refineries Absorb New Permian Crude Supplies). Narrow price spreads make it uneconomic for producers to ship barrels from further afield basins like the North Dakota Bakken and Western Canada while Gulf Coast prices (based on Light Louisiana Sweet – LLS) are only $6/Bbl above WTI at Cushing. Incremental barrels to meet Gulf Coast demand will have to use rail transportation at least until early next year when 1.1 MMb/d of pipeline capacity (Keystone XL and Seaway expansion) opens up from Cushing. Rail transportation is more expensive than pipeline and so crude price spreads will have to compensate producers in order to attract rail barrels. Otherwise as we have seen recently in the Bakken, narrowing spreads reduce rail shipments (see Netback, Netback to Where You Started From). If coastal prices do not increase in order to attract barrels from outside the Gulf Coast region, then those barrels will instead be attracted to Cushing because WTI prices there will offer producers better netbacks. If crude is attracted to Cushing instead of the Gulf Coast then supplies there will start to back up again and higher inventories will once again widen the WTI price discounts to Brent. To access the remainder of Strangers In the Night - WTI and Brent Come Close Enough to Touch you must be logged as a RBN Backstage Pass™ subscriber.